Corn Casserole By Jessica Erin from Stuck On Sweet - It’s incredibly simple and you can adapt it to make it healthier…if you would like. 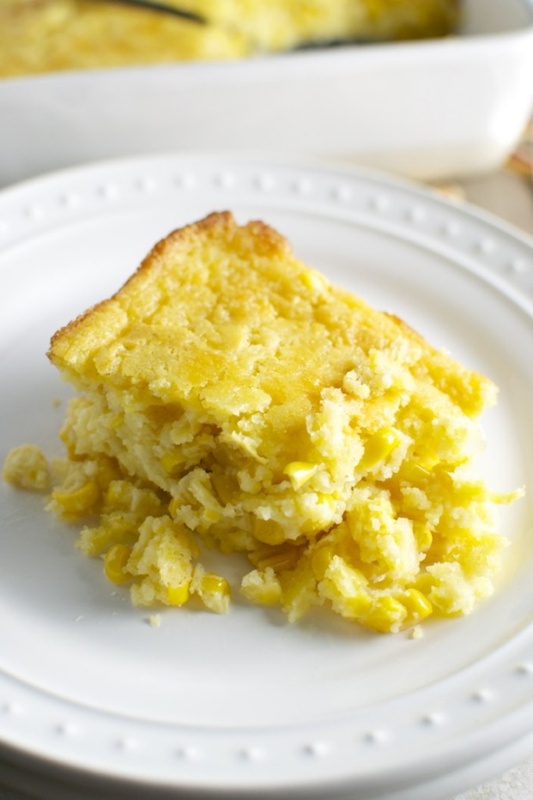 It’s crumbly, dense, delicious and full of corn flavor. There are never leftovers of this stuff after Thanksgiving, it’s really a shame because it’s so good the next day too.